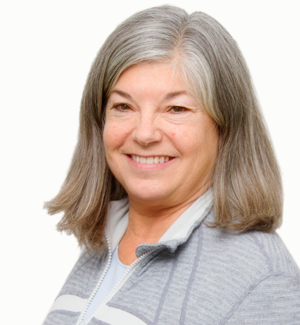 Rebecca is a certified Svaroopa Yoga teacher (C.S.Y.T), Certified Embodyment Therapist (C.E.T. ), and Registered Yoga Teacher (R.Y.T) at the 500-hour level with Yoga Alliance. She holds a Bachelor of Science Degree in Nursing (B.S.N. ), and is a practicing Registered Nurse (R.N.) in the state of Oklahoma at St. John Medical Center. She has studied with Rama Berch, founder and creator of Svaroopa Yoga, at Master Yoga Teaching Institute, La Jolla, California. Her studies include extensive training in asana (pose) with alignments and personal adjustments, anatomy and physiology, yoga philosophy, meditation, pranayama (breath) and mudras, and the sutras as they pertain to yoga therapy. After graduating from the Svaroopa Yoga Teacher Training in 2007, Rebecca continues to broaden her knowledge and experience in advanced studies of yoga and holistic healthcare working towards Certification in Medical Yoga Therapy. At Tulsa Spine & Rehab, Rebecca is offering the following by appointment: Yoga Therapy, Embodyment Therapy, Overlap Healing, and Yoga Classes. Yoga classes may be private, semi-private or small groups. Ongoing weekly class held on Wednesday from 7:00 to 8:30 p.m.